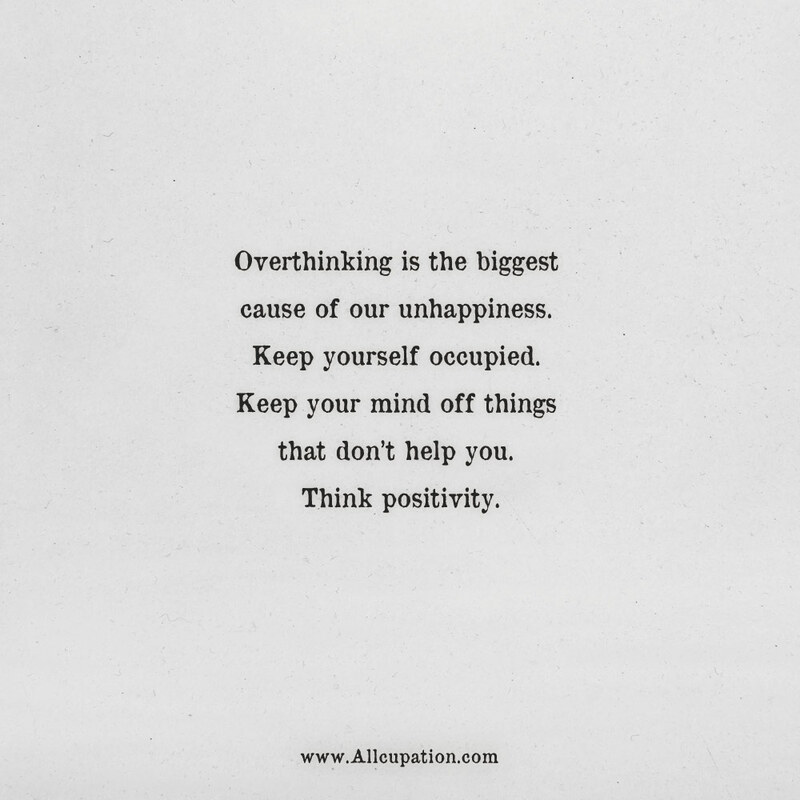 Overthinking is the biggest cause of our unhappiness. Keep yourself occupied. Keep your mind off things that don’t help you. Think positivity.